Trend’s exclusive interview with Tudor Ulianovschi, Minister of Foreign Affairs and European Integration of the Republic of Moldova. Question: There are traditionally good relations between Azerbaijan and Moldova. The two enjoy multifaceted cooperation in a number of sectors. Which spheres do you still believe need incentives? Answer:As we look retrospectively, but also into the future of our bilateral relations, it is important to mention that the excellent diplomatic relations between Moldova and Azerbaijan have been further strengthened after both of our states gained their independence. Since their establishment, our friendly relations have been based on mutual trust and understanding, reciprocity and equality and have progressively developed and consolidated in all areas – political, economic, cultural and humanitarian. Our cooperation has grown not only at the bilateral level, but also at the regional and international level, on matters of mutual interest such as peace, stability, sovereignty and territorial integrity of our countries. Last year, when we celebrated together the 25th anniversary of the establishment of our diplomatic relations, we had the occasion to further strengthen our political dialogue and fruitful cooperation in many fields. To be more precise, on the political side, it is worth mentioning the visits of high level officials from Moldova paid to the Republic of Azerbaijan, high level meetings at the international fora, visits of ministers and deputy ministers, as well as the revitalization of the political consultations held between the ministries of foreign affairs. With respect to the legal framework that underlies our bilateral cooperation, it has developed during the recent years and currently represents a network of more than 50 bilateral agreements in force. New agreements in new areas of interest are currently being negotiated, while some are adjusted in order to reflect recent developments. At the same time, we shouldn’t ignore the cultural side. During 2017, a significant number of cultural events were organized in Baku, including 3 concerts and 2 art exhibitions of famous Moldovan musicians and artists, as well as other forms of cultural exchanges. Also, singers and other art performers from Azerbaijan have participated at festivals organized in Moldova. Just to name a few: 3 concerts have been presented by the well-known Moldovan pan-flute performer Constantin Moscovici at the State Philharmonics Hall and at the International Mugham Center. Furthermore, an exhibition of the artists Ion and Iulia Carchelan was organized at the ArtTowel in the IceriSeher (Old City) Baku. We should also mention in this respect the project for the translation of literature anthologies of the both countries, as well as the translation of several books by Moldovan and Azerbaijani writers, which will be soon officially published in Baku and Chișinău. We are looking forward to multiply the cultural events to be held this year, such as the participation of a group of Moldovan artists at the International Mugham Festival in Baku at the beginning of March, the performance of a young Moldovan singer in the YouthVision contest in April and of a group of children in the Bridges of Friendship Festival in June (in Guba). We are also working on the organization of an exhibition of a Moldovan artist in Baku. Good cooperation has also been established and is further developing among different research, academia and sports institutions. This successful multidimensional cooperation is significantly contributing to further strengthening mutual trust, active political dialogue, economic and cultural ties and friendly bilateral relations between our two countries. Q.: Economy plays a major role in the relations between the countries. Do you think the trade turnover between the two countries reflects the existing potential? What is going to be done to increase the turnover? A.: As mentioned earlier, during the recent period, bilateral relations between our two countries have been developing dynamically in all areas of cooperation. Moreover, I would like to note with satisfaction that throughout the last two years, significant positive trends in economic cooperation, including commercial exchanges were registered. For instance, the turnover between the two countries in 2016 increased by 39 percent compared to 2015 and by 41 percent in 2017 compared to 2016. In spite of this, we believe that the economic and commercial potential does not match the excellent level of relations between our two countries and still remains quite high, especially in some priority areas. We support the strengthening of our bilateral cooperation in the economic, trade and investment fields and are confident that through the Inter-Governmental Joint Commission on economic cooperation and the Business Forum to be held in the near future in Baku we will further capitalize on the existing potential cooperation in areas such as agriculture, energy, industry, transport, tourism and other priority areas, to the mutual benefit of our countries. Several high level visits planned to take place during the current year will also be of special importance for this process and further enhancement of political and economic cooperation between our countries. Q.: Moldova previously voiced intention to attract Azerbaijan in development of hydrocarbon resources. Do the countries hold talks on any project in this regard? How do you plan to deepen the energy segment of bilateral cooperation? A.: This sector is of great importance for the Republic of Moldova, as the country has very limited resources and depends almost entirely on one source of energy. Therefore, being interested in guaranteeing the energy security of our country we have developed the 2030 Strategy, which defines strategic objectives, priorities and opportunities in this field and pursues three major tasks: securing safe energy supply; developing competitive markets and their regional and European integration; and ensuring sustainability of the energy sector. For the same reasons, we are very much interested in diversification of energy sources and routes of their delivery, and we hope that a great role in the achievement of such an objective could be played by Azerbaijan, especially through successful implementation of the Southern Gas Corridor project, including its TAP and TANAP segments, which are to ensure diversification of natural gas sources and strengthen energy security of many European countries. Moldova is also interested in the advancement of other energy projects, such as AGRI (Azerbaijan-Georgia-Romania Interconnector) LNG (liquefied natural gas) developed in the region, which envisages transportation of Azerbaijani gas via pipelines to Georgia and then liquefied gas to Romania, as well as BRUA (Bulgaria-Romania-Hungary-Austria), which we believe in a long term have the potential of becoming important instruments for ensuring the energy security of the countries in the region. This is especially important for us in the context of connecting Moldova to the Romanian gas system through the Iaşi-Ungheni pipeline, and especially in the perspective of finishing, at the end of this year, the construction of the Ungheni-Chișinău gas pipeline, designed to supply with gas the capital city Chișinău, which is the biggest consumer of the country. Full implementation of this major project will allow Moldova not only to connect to the Romanian energy system, but to the European one as well; it will also create new opportunities for diversification of the energy supply and increased energy security of the country. Q.: What about investing in Azerbaijan? Which sectors will be interesting for Moldovan investors? A.: It is obvious that to attract or make investments in a certain country any interested public or private economic operators should have on the one side sufficient available capital, and on the other side an in-depth knowledge of investment opportunities and market features of that country. The current economic and investment statistics between our countries show that while more than one hundred joint enterprises with a capital of around two million US dollars are operating in our two countries, the potential for investment is much higher, especially since both countries provide an excellent environment for that. It seems that at this stage business communities from both countries are still to identify sources and conditions for investment, and consequently assisting them in this process remains one of the most important tasks of the relevant governmental institutions from both countries. Nevertheless, according to the economic experts, there are favorable incentives for certain investment of Moldovan companies in the Azerbaijani economy, including through the existing and new joint enterprises, by sharing expertise and participating in the development of such economic sectors as agriculture, including viticulture and winemaking production, food processing and farming equipment production, green-house construction, as well as wood processing, furniture and carpet manufacturing. In our turn, the Republic of Moldova is interested in attracting investments in many sectors of our economy and, having a wide range of investment opportunities, Moldova is one of the most attractive destinations for direct foreign investments. Presently, the main reasons to invest in our country are political stability, economic growth and a very friendly and non-discriminatory investment environment, including freedom of investment, transparency, guarantees of investor rights and against loss, as well as resolution of disputes and other rights. In addition, great opportunities for foreign investments are offered by the 7 free economic zones with 11 sub-zones and 10 industrial parks operating in Moldova. As for main fields of investment; they are agriculture, automotive, textile, renewable energy, transportation, ICT and medicine. We confirm our interest in further promoting and supporting investment projects of economic entities of the two countries and given the existence of a favorable investment climate and attractive conditions for business development in the Republic of Moldova we are interested in the participation of potential Azerbaijani partners in the activities of the Free Economic Zones and Industrial Parks. New opportunities for investment in these and other sectors of our economy are also offered by the Association Agreement and the Deep and Comprehensive Free Trade Agreement (DCFTA) signed by the Republic of Moldova with the European Union. We believe that the free trade regime between the Republic of Moldova and the EU provides all the necessary conditions for attracting investments of Azerbaijani companies, such as from the processing sector of Azerbaijani raw materials and manufacturing goods for export to the EU markets. We hope that the development of the Moldovan-Azerbaijani relations in the economic, trade and investment areas will be significantly boosted as a result of holding, in the near future, the 4th meeting of the Intergovernmental Moldovan-Azerbaijani Commission for Trade and Economic Cooperation (IPC) and organizing a business forum within its framework. Q.: Moldovan parliament recently ratified the Agreement between Government of Moldova and the Government of Azerbaijan on cooperation in the military sector. On what particular fields will this cooperation focus on? A.: Indeed, during 2017 such an agreement between the two parties was negotiated and signed through diplomatic channels and it recently was ratified by our Parliament. As soon as ratification and other due procedures will be accomplished in the Republic of Azerbaijan it will come into force and become subject of implementation for both countries. Without going into too much specificity, it is worth mentioning that the agreement is an encompassing one. It establishes the basis for the development of bilateral military contacts, as well as long-term planning and identification of areas of military cooperation between the states - parties. Accordingly, it envisages some priority areas of cooperation in this sector, among which are consultation and interaction on technical work, personnel training, social, cultural and sports activities in the army, public diplomacy, issues of peacekeeping operations and humanitarian aid, joint activities under the NATO Partnership for Peace Programme, cooperation within GUAM and other aspects. Q.: Along with successful economic and humanitarian interaction, there is political understanding between our countries. What is the position of Moldova on the resolution of the Armenia-Azerbaijan Nagorno-Karabakh conflict? A.: As already mentioned, since their independence and soon after becoming members of the international community our countries have been successfully cooperating at the multilateral level, especially in the framework of international and regional organizations, such as the United Nations (UN), Organization for Security and Co-operation in Europe (OSCE), Council of Europe (CoE), the Organization of the Black Sea Economic Cooperation (BSEC), as well as the Organization for Democracy and Economic Cooperation GUAM. The Eastern Partnership framework is also a distinct segment of cooperation. Such cooperation has always retained a good exchange of views and sharing mutual support in common priority points on bilateral, regional and multilateral issues. This has been and remains particularly important as for more than two decades both countries have been facing the same problems, which require joint efforts, effective collaboration and reciprocal support at the international and regional level on matters of common interest, such as peaceful resolution of the protracted conflicts in the GUAM area, including the Transnistrian and Nagorno-Karabakh conflicts. In view of that, the Republic of Moldova has always supported the resolution of these conflicts based on the principles of ensuring respect for international law, territorial integrity and sovereignty of our states. Q.: What steps does the Moldovan chairmanship plan to take for promoting the collective resolution on frozen conflicts in GUAM region at the next session of the UN General Assembly? A: Republic of Moldova attaches particular interest to the purpose of promoting the UN General Assembly draft resolution on protracted conflicts in the GUAM area and considers as being of the utmost importance to continue our common efforts in gaining international support for its adoption. 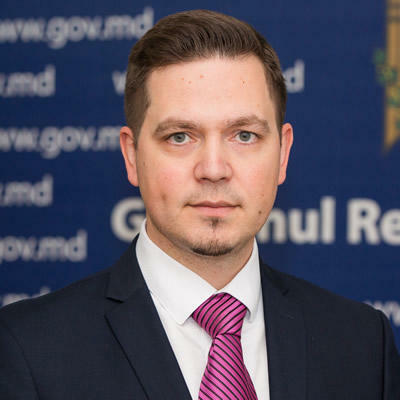 Q.: Ensuring the functioning of the Free Trade Area within GUAM and activation of sectoral interactions in key areas were among the economic priorities of the Moldovan chairmanship at GUAM. Have you defined a certain action plan in this regard? A.: Republic of Moldova chose as the motto of its Presidency: Growth, Unity, Achievements and Modernization – which are the acronyms of our Organization. The Moldovan Chairmanship is committed to work towards achieving its priorities inclusively in accordance with the Plan of Actions for stimulating sectoral cooperation 2018-2020, which was adopted last year at the 31stMeeting of the Council of Ministers of Foreign Affairs in Vienna. At theFebruary meeting of the GUAM National Coordinators, we presented our Chairmanship Program and discussed the guidelines for its implementation. One of measures to be achieved during the Presidency will be for example the signature of the 3rdProtocol regarding the rules of origin of goods. Its application will ensure the full functioning of the GUAM Free Trade Area. Subsequently, conditions fora sustainable exploration of the Member States’ transport and transit routes’ potential will be created for the benefit of our countries and societies. Q.: What steps can be taken to attract Moldovan tourists to Azerbaijan? What about Azerbaijani travelers? What steps can be effective in increasing the tourist flow in both directions? A.: For many reasons, and especially from the political, cultural and economic points of view, tourism has always been a very important sector for all countries, including for Azerbaijan and Moldova, and this explains the major attention both states pay to its development. It is our pleasure to acknowledge significant progress achieved in recent years by the Republic of Azerbaijan in its development by building excellent infrastructure, organizing plenty of major international forums and sport events in the capital and other important cities and regions of the country, as well as by finding the best solutions for better exhibiting the richest historical, natural, cultural and architectural sites of Azerbaijan to foreign visitors. The Republic of Moldova has also taken important steps in order to create all the necessary conditions and incentives for the development of tourism and for the increase of attractiveness of the country for foreign tourists. And we can assure you that Moldova has a lot to show to foreign tourists, including to those from Azerbaijan. Nevertheless, we also have to recognize that while tourist exchanges between our countries have increased during the last two years, there are a lot of new opportunities and plenty of common work needs to be done in this regard. We assume that the first and foremost step to be made by our responsible institutions in order to advance in this direction is to revisit and if needed to review the existing agreement on cooperation and ensure its implementation by concrete practical measures. According to the experts, and we agree with them on this, among other joint activities in this respect we should also include exchange of information and best practices in the tourism field between governmental and private tourist agencies, active promotion of the national cultural, historical, natural and touristic sites, organizing reciprocal visits of specialized missions for representatives of tourism agencies and mass media in two countries. Q.: Should we expect any high-level visits any time soon? A.: Political dialogue between our countries has always been constant and active, and this year will not be an exception in this sense. As both sides are now in the preparation process for the 4-th Meeting of the Inter-Governmental Joint Commission on Economic Cooperation and of the Business Forum to be held in the near future in Baku we believe that this will be a good opportunity for a visit of a high official from Moldova to Azerbaijan. In the context of many important international forums held this year in Azerbaijan, participation of the high officials from Moldova in major events organized in Baku is also under consideration. In addition, in 2018 the Republic of Moldova holds the Presidency of the GUAM and during this year some important meetings, including at the high level are to take place in the capital city of our country, Chișinău, where we anticipate having also high-level official guests from Azerbaijan.